At midnight we ended the old year and began the new one simultaneously. Many of us spent a week in review of some kind, possibly planning what not to repeat and what new plans and goals we were headed for. Resolutions are truly a hindrance to one’s life progress. They create a sense of failure at the beginning of every new year. At least that’s how I see it. So if one doesn’t indulge in resolutions for the new year what is it one does with the vast 365 days laid out before us in the vastness of that thing called the future? What is the plan? For me, I quasi participate in the My One Word movement. This year I may sign up for the 1st level accountability group, but I don’t know. This will be my 4th year picking a word for the year. I chose my word a few days ago: Self-Discipline(d) – I find it funny that my words are always either hyphenated or compound words. Like chips … you can’t just have one! Self-discipline: is the ability to control one’s feelings or emotions and overcome one’s weaknesses; the ability to pursue what one thinks is right despite temptations to abandon it. Synonyms: self-control, restraint, self-restraint, self-command, willpower, purposefulness, strong-mindedness, sound-mindedness, resolve, moral fiber, doggedness, persistence, determination and grit! I intend to purposefully control my emotions. I have a great friend, mentor and now my pastor, who when we met, I decided in my heart to become her. I wanted to be able to conduct myself with the class and composure that she possessed. I wanted the peace and self-control she has as a person, wife, mother and leader. Since that meeting we’ve become very good friends. I’ve taken over her post as church secretary and armor bearer to our pastor and now I am her secretary and armor bearer. I tell you, it’s an honor to be her friend and to have her in my life. And over the years I’ve found that God intended this for me and that He had given me the tools to succeed on this particular path. 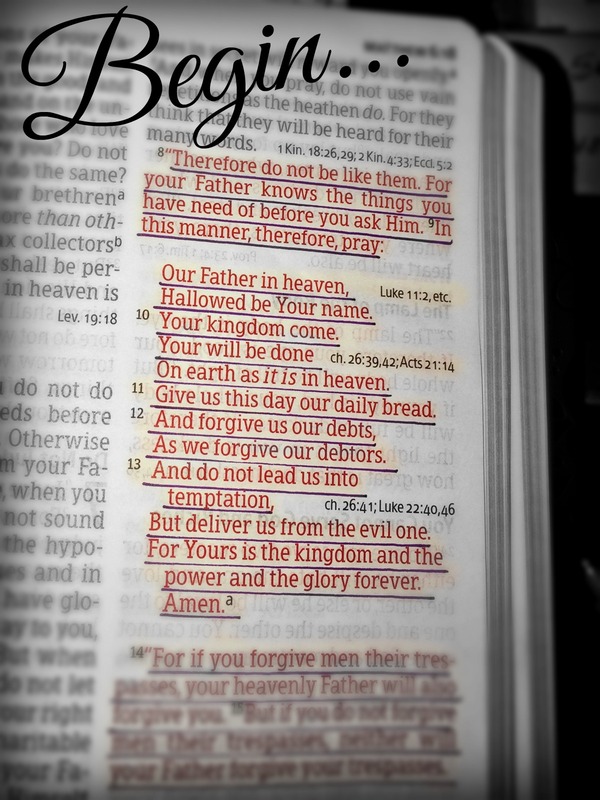 The NIV translation says, ” … power, love and self-discipline“. The world tells us that we cannot control how we feel. We cannot choose who we love. Our feelings and emotions are out of our control. NOT SO. Romans 8:9-11 basically tells us that Holy Spirit lives within us, giving us life over death (or control over our sinful nature). Sinful nature sounds awful I know but what that means is that we actually have control over our carnal or natural nature. We most definitely control our feelings, as well as our emotional reactions and actions in all areas of our lives. And in Galatians 5:22&23 the Word tells us that Holy Spirit produces in us the fruit of His Spirit. It is His emotions we experience in the circumstances of our lives. He produces His emotions within us so that we exhibit the benefits of His presence in our hearts – love , joy, peace, patience, kindness , goodness, faithfulness, gentleness , and self-control. So why did I choose self-discipline? Well for the last three years my word was Wholeness. A good goal and I’ve come a long way in becoming whole in Christ. So a the beginning of 2015 I changed it up, but not by much. After all, self-discipline is a major part of walking in the wholeness of one’s life. As many of you know I have A LOT on my plate these days. And 2014 went out with quite a blow to my spirit. Please pray for my youngest son, if you would. And 2015 came in with me HAVING to control my emotions. Pick a word for the year … I promise you that immediately you will be challenged by your choice! We began 2015 with a kiss good night and in the morning we began the year in prayer at our church. We were reminded to pray the solution, not the problem. Periodically we review how we should be praying so that the blessings and promises flow in our lives and ripples out into our community. It’s a great reminder not to fall into that wordy, self involved prayer style where we think because we see the circumstance as huge we much add many words to get our point across to God. How silly that is, but I do it too, sometimes. So this morning I was in a position to keep my composure amongst my church family while praying for our particular situation (that cropped up last night before the new year was rung in). There was that challenge proving within me that I had chosen the correct focus for this year. 1. Deepen my relationship with God with prayer and structured time in the Word. 2. Devotional: Jesus Calling ( I got it for Christmas!) and following her purposeful time with God – we’ll see how that works for me; but the daily reading comes with scripture to read – keeping me in the Word. 3. 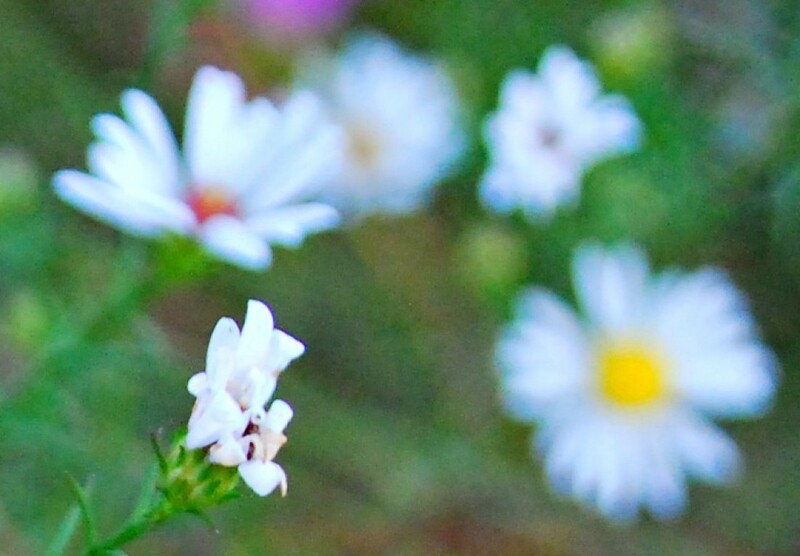 A Blessing Box – an attitude changer … a tool to purposeful positiveness. That’s how I began my day. That’s how I began 2015. How did you begin 2015? Did you make a resolution or set a goal? I’d love to hear from you! Thanks for reading my friends. And Happy Happy New Year. 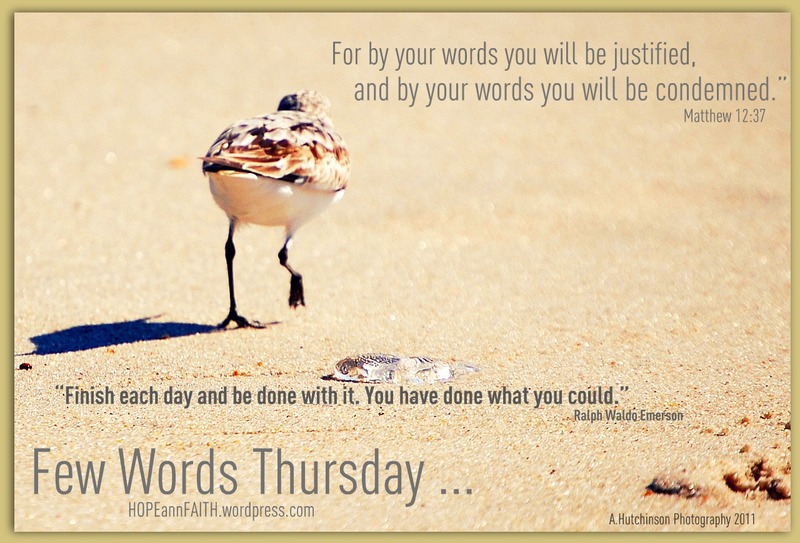 Categories: A. Hutchinson - Writer, Change, Emotions, God Says..., Guidelines for Living, Health and Healing, Intentional Living, Living on Purpose, My Journey | Tags: "Few Words Thursdays", 31 Days of Writing Challenge, My Journey, My One Word | Permalink. What a brilliant and challenging word to choose for this year. Your action plan is great and I pray for a tremendous year of favour and blessing over you and your family in the midst of whatever trials you are facing. My word for this year is Persist which requires a lot of self-discipline too! Thank you! Yours is quite challenging too … and very similar. Thank you so much for the prayers. Our trials can be found in earlier (many earlier) posts. =) Just so you know from where I come.